Pacific Coast Repertory Theatre is opening not one, but two terrific shows this week, presenting Forever Plaid and Taffetas performed in repertory (alternating nights). 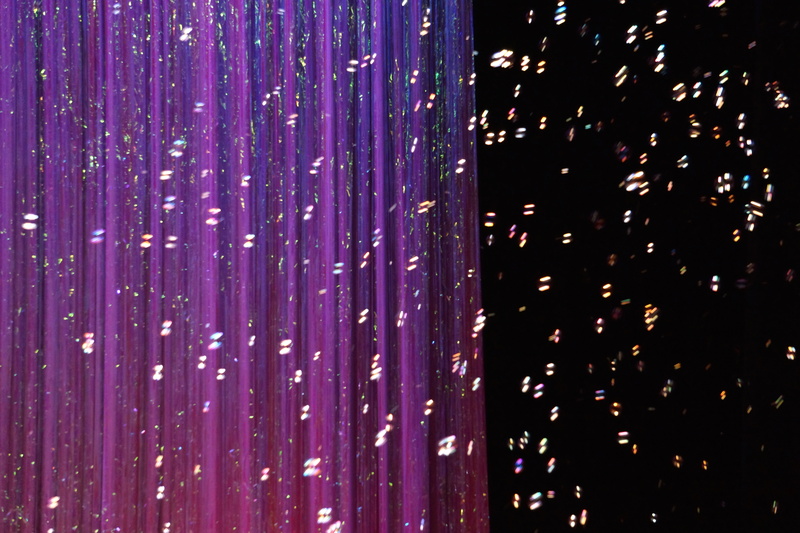 The shows will run from January 30th, 2014 through February 15th, 2015: Friday and Saturday at 8pm and Sundays at 2pm. All performances will take place at Firehouse Arts Center, located at 4444 Railroad Avenue in Pleasanton, CA. Tickets are $17-$38 each, and are available at the Firehouse Arts Center Box Office, by phone at (925) 931-4848, or online at www.pcrtproductions.org or www.firehousearts.org. PCRT is the first theatre company in the Bay Area to ambitiously stage the two productions together. Co-Artistic Directors, David Judson and Pat Parr decided to offer a unique theater experience for the community of Pleasanton and the Tri-Valley area pairing the two 50’s style musicals. Audience members will be able to enjoy two completely different musicals filled with all of the 50’s nostalgia and tunes that were embraced in that decade. An audience member could potentially see a matinee performance of Taffetas, enjoy an early dinner on Main Street, and then head back to the theater for the evening performance of Forever Plaid! 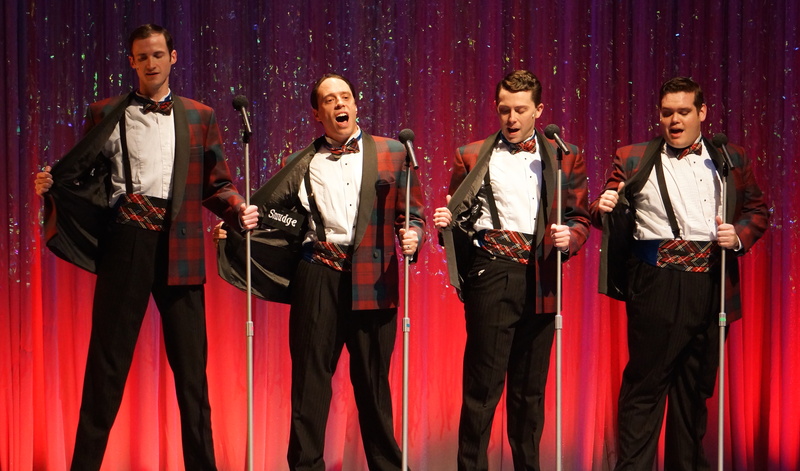 When four young singers are killed in a car crash, they posthumously take the stage for one final gig in this goofy 1950’s nostalgia trip. Once upon a time, there were four guys (Sparky, Smudge, Jinx and Frankie) who discovered they shared a love for music, and then got together to become their idols – The Four Freshman, The Hi-Lo’s and The Crew Cuts. Rehearsing in the basement of Smudge’s family’s plumbing supply company they became “Forever Plaid”. On the way to their first big gig, the “Plaids” tare slammed broadside by a school bus and killed instantly. It is at the moment when their careers and lives end, that the story of Forever Plaid begins…. Singing in close harmony, squabbling boyishly over the smallest intonations, and executing their charmingly outlandish choreography with over-zealous precision, the “Plaids” are a guaranteed smash, with a program of beloved songs and delightful patter that keeps audiences rolling in the aisles when they’re not humming along to some of the great nostalgic pop hits of the 1950’s. It’s 1950-something, and these four singing sisters from Muncie, Indiana are making their national television debut on the Dumont Television Network’s Spotlight on Music! 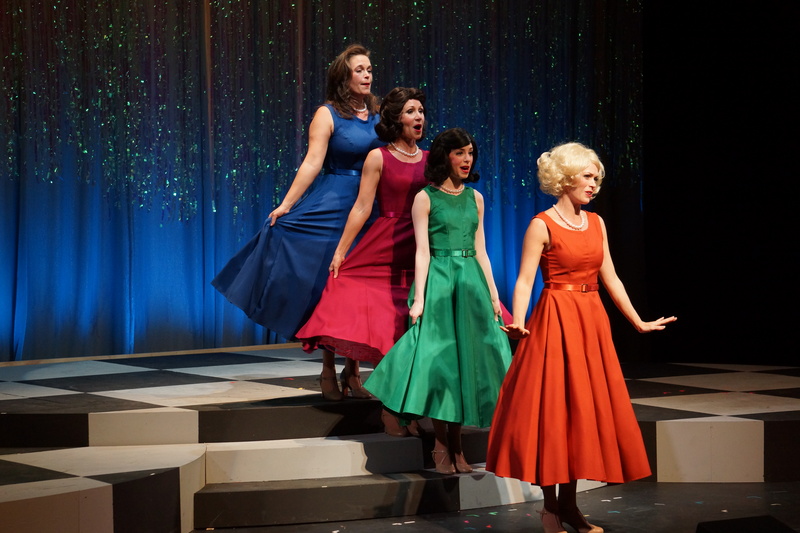 The Taffetas pays tribute to the sounds of The McGuire Sisters, The Fontane Sisters and The Chordettes. Opening Off-Broadway almost two years before Forever Plaid, The Taffetas made nostalgia what it is today! Spend an hour and a half with Kaye, Peggy, Cheryl and Donna, and remember what Sunday night television was like on your 12-inch black and white screen! The production is Directed and Co-Choreographed by Scott Maraj, Co-Choreographed by Jenna Harris, and Musical Direction by Mark Dietrich. Pacific Coast Repertory Theatre celebrates human life by engaging audiences with Professional, Innovative and Inspiring theatre in the Firehouse Arts Center, Pleasanton.